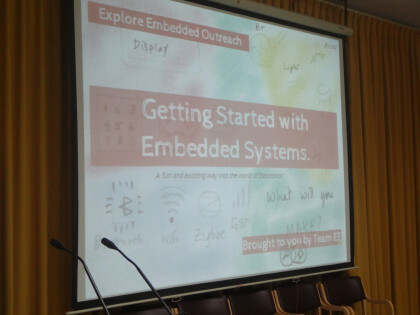 Explore Embedded Blog | Let's build. . . Persistent Hard-work for small success! We look ourselves as a small and sustainable business rather an a fancy startup. In this post I’ll cover our recent small success with designing, manufacturing and shipping Explore M3 from an Idea to a tool in your hands. We have been passionately building embedded development tools for some time now. Although passion fuels energy, small profit is essential to keep the ship sailing. If you’re wondering about what it really takes to make small success, I will try and cover what worked for us this time around. I would like to transverse this backwards, from shipping the pledges to the Idea. So what does small success look like? Gururaghavendra (Raghu) holding 200 Explore M3 on left, Packed orders on the right! So for anything to be successful, you need to market it. I am of the view that marketing in the traditional sense, like print ads, TV or even ads on social media will not make sense for bootstrapped business like ours. It is neither affordable, nor generates the desired impact. So what does work? This may be a huge surprise, but it works. For the audience that we wanted to attract, most of these things matter. So we built numerous tutorials, which eventually will be useful for lot of people. In the hindsight putting so much of time and effort into a project, we were indeed a little concerned. The total traffic to the campaign page over the campaign period of 45 days is shown below. 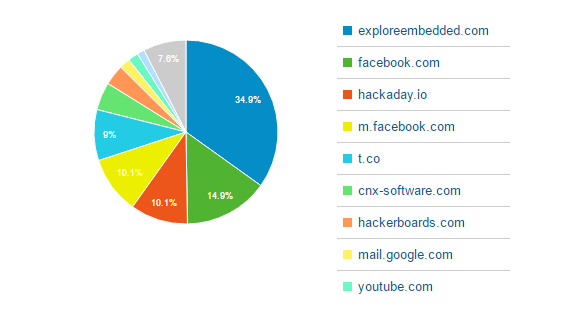 You may see the second biggest chunk is referrals (26.6%). This is very important, in my view the most important source. This is from the either your sources ( which you’ve built overtime) or from people who have vouched for you. This is most definite show of strength and support. The 34.9% of the referral traffic is from our site. So no surprises there, putting the product besides your tutorial pages and front page of your site indeed works. You could also see the traffic from hackaday.io, where the project was documented during it’s journey. The next important piece is the coverage by other relevant site, which we will see next. We also learned how to pitch the project to relevant blogs/websites to cover. One thing I personally learned was, not to push the your product too hard. The authors/contributors to these websites get lot of such requests. The simple secret is pitch to people who understand what your product is? The pitch should not be about compelling them to cover your project. It should be about what the project is really about. It should be able to generate genuine curiosity. You should be willing to answer and explain, any of the answers and questions the Author has truthfully. I think, most of these authors have seen numerous ideas and they really can make the genuine ones. One might think, showing lofty promises will gain coverage. It may happen, but you’ll be building a lot of expectation and hype, which is bad in the long run. Keep it plain, truthful and simple. Now, that I have let the secret out; do get too much excited about this. Some of the press coverage may bring heavy criticism. 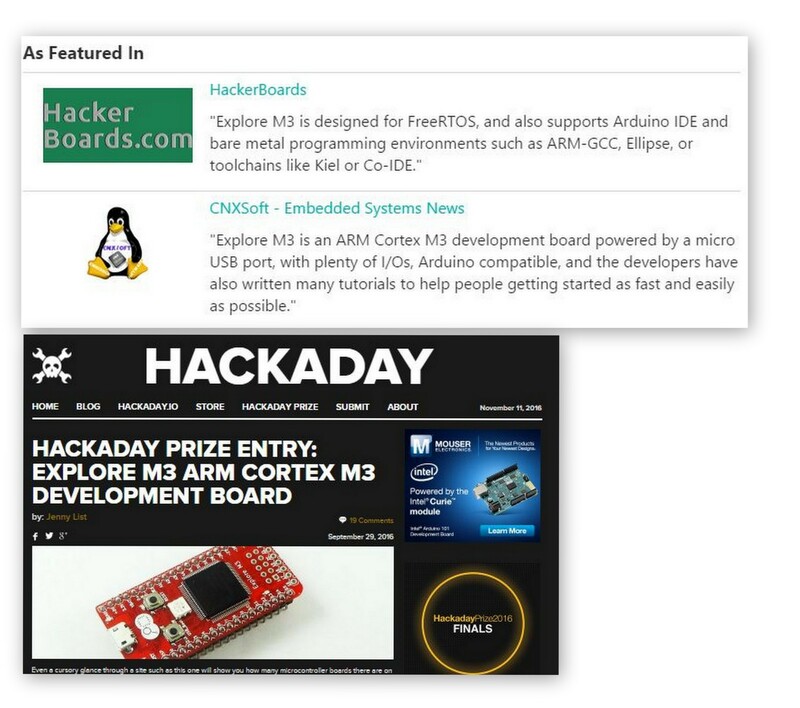 This happened with hackaday for us. Don’t not get dis-heartened by it. If there is some really nice feedback, learn from it and move on. Along with the criticism, there will be people who understand and will support you. And your campaign will see traffic and funding gains. The majority of work, for this project was in firmware. We ported a brand new chip LPC1768 to Arduino, there was zero support for this chip. One of the aims of the project to help people to prototype quickly with Arduino and take the idea beyond to bare metal. So it essentially meant, we need to deeply understand what hides beneath the ease of using Arduino and what better way to than to build it from scratch. As you see above it took 6 months to build the firmware. The number of commits may not tell the true story. 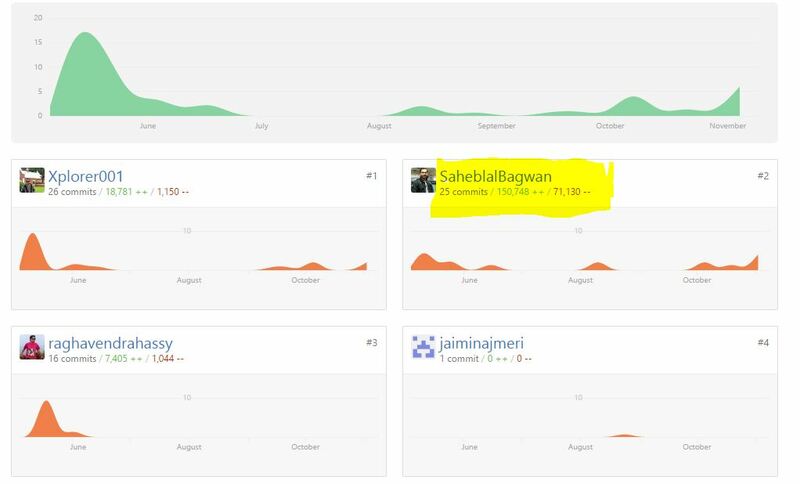 The lead developer for this, Saheblal Bagwan (Bagwan as well call him) is used to committing only after achieving substantial functionality. The number of file additions does show it. 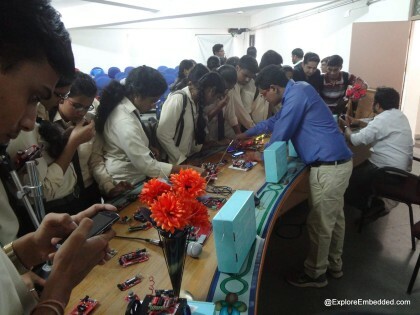 The work entailed USB bootloader, core functionality, RTOS port and the code for numerous tutorials. Apart from the usefulness of the work, I am confident that this will lead us to bigger opportunities to contribute to Open Hardware and Software. With the likes of ESP32 and other powerful chips coming to the fore, we will definitely have a larger role to play. One board to evaluate on all popular platforms: Arduino or bare-metal. Supports Arduino IDE for quick prototyping. Support for FreeRTOS with numerous examples demonstrating the usefulness and features of RTOS. Libraries to support low power modes : Sleep, Deep-sleep, Power-down, and Deep power-down. Numerous tutorials showing the easy of use with the platforms and performance gains by programming the bare metal. The list of tutorials below will be linked as we go along. Essentially, the goal was to provide a quick prototyping platform and provide a possibility to transition from quick arduino hacks to well though out firmware and hardware, required for building products. We did most of the above to best of our abilities as documented in various project logs on hackaday.io The other half of the story is now in the making. There were several other learnings, like shipping out of India etc, which you may may be interested. We are excited to see what you build with Explore M3. Thank you for reading and the support. We are onto our next thing, we believe Open Hardware is here is stay! What do you think?